Jack Mencini and Adam Sonnhalter, co-business partners of Maximum Value Partners have coached hundreds of small business owners over the last 15 years. On their show, Dirty Secrets of Small Business they discuss the common myth that as an owner, you should keep all your customers even if some of them are not contributing to your profits and even if some of them aren’t helping you grow your business. 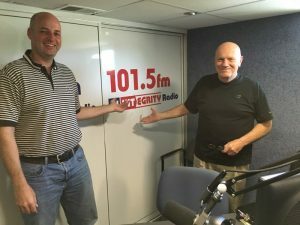 In this week’s radio show, Jack and Adam reveal the dirty secret that most business owners don’t understand their numbers but instead typically rely upon their bookkeeper or CPA to prepare and review their balance sheets and profit and loss statements. Don’t let this be you. There’s a better way. They also disclose the 3 key elements to concentrate your efforts and focus on as a business owner: Plan, Direct and Control to run a successful small business. They also discuss the responsibility owners have to their employees. “We can use the analogy that your employees are like young birds in a nest with their mouths open waiting for food. Your employees have open minds and ambitions to learn from you and be directed to how they can be in sync with helping the business grow on a successful path… if they have the right leader feeding them and guiding them, “ said Sonnhalter. Whether you’re starting a small business or already have one, tune into the show to get some great insights on hiring, segmentation, marketing and sales that will undoubtedly help you no matter what stage you are at with your business.